MAOs, or monoamine oxidases, are enzymes that break down neurotransmitters and stop their messaging activity. MAO-A breaks down serotonin, epinephrine and norepinephrine; MAO-B deactivates dopamine. MAO inhibitors prevent the breakdown process, allowing neurotransmitters to remain available longer in the synapses between nerve sells. MAO inhibitors are prescribed for depression, but due to their dangerous interactions with certain foods, they have been largely replaced by other types of antidepressants. Herbs can inhibit MAO-A and MAO-B enzymes without the unpleasant side effects of antidepressants. Syrian rue (Peganum harmala) is a perennial herb found throughout the western and southwestern United States, Europe and the Middle East. The seeds and roots contain the alkaloids harmaline, harmine, harmalol, harmol and tetrahydroharmine. A study published in the 2009 issue of Food and Chemical Toxicology found that harmaline and harmine in the seed extracts of Syrian rue were potent MAO-A inhibitors; and harmine in the root extract was an active MAO-A inhibitor. Passionflower (Passiflora incarnata) is a perennial climbing vine with light blue flowers. It produces an edible fruit called maypop. 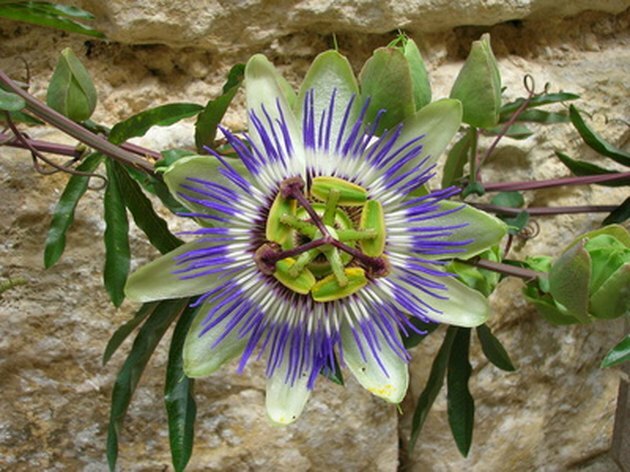 Passionflower contains the MAO inhibitors harmaline and harmine. It also contains several flavonoids that are MAO inhibitors, including apigenin, kaempferol and quercetin. Ayahuasca (Banisteriopsis caapi) is a South American vine noted for its hallucinogenic actions. It was used traditionally to treat parasites and digestive disorders. Ayahuasca is popular in research on potential cures for Parkinson’s disease because of its effects on MAO-B, which deactivates dopamine (the neurotransmitter lacking in Parkinson’s patients). A study reported in the 2010 issue of the Journal of Ethnopharmacology found that harmaline and harmine in ayahuasca are MAO-A and MAO-B inhibitors. It also found MAO-B inhibitory potential in the flavanols epicatechin and procyanidin. The strong MAO-B inhibitory action of ayahuasca point to a possible treatment for Parkinson’s disease. 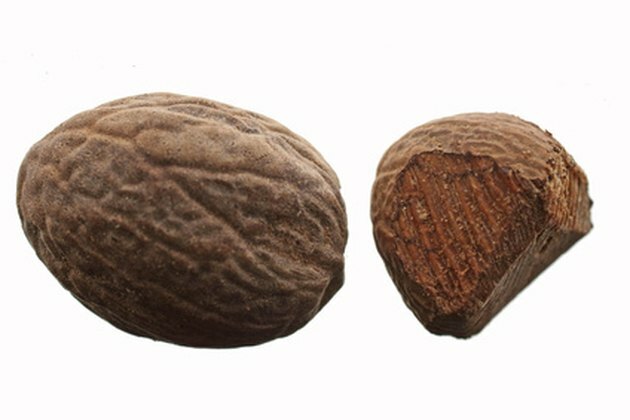 Nutmeg (Myristica fragrans) is an evergreen tree native to the Spice Islands. The seed of the tree is called nutmeg, and mace is the seed covering. Nutmeg essential oil contains myristicin, which can be toxic in large doses. Myristicin is an unselective MAO inhibitor, meaning it acts on both MAO-A and MAO-B. Nutmeg also contains the MAO inhibitors kaempferol and quercetin. Turmeric (Curcuma longa) is a yellow root used in Asian cooking and traditional medicine. A study reported in Psychopharmacology found that curcumin inhibited both MAO-A and MAO-B and increased the levels of serotonin and dopamine. When the researchers combined curcumin with piperine, an alkaloid found in black pepper, they found this enhanced the effect of MAO inhibition. Kava (Piper methysticum) is a green shrub native to the Pacific Islands, where it's used as a relaxing beverage. The active ingredients in kava are called kava pyrones or kavalactones. 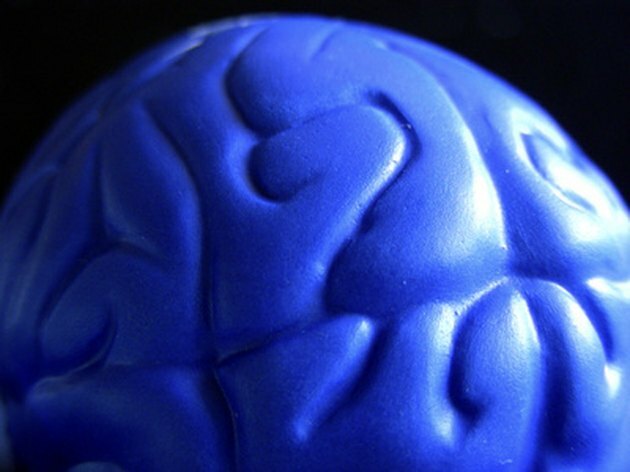 A study in Pharmacopsychiatry found that six kavalactones were MAO-B inhibitors and increased dopamine levels in the brain. In order of potency, they are: desmethoxyyangonin, methysticin, yangonin, dihydromethysticin, dihydrokavain and kavain. 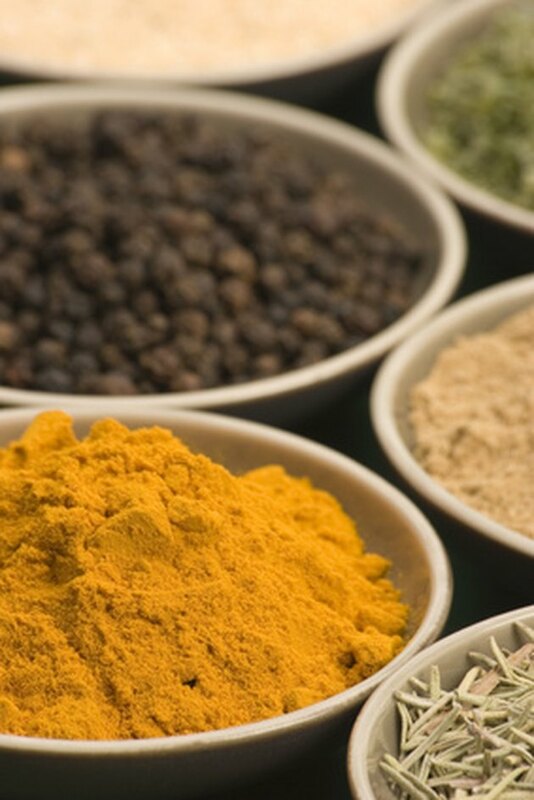 Can Certain Herbs Increase Dopamine?